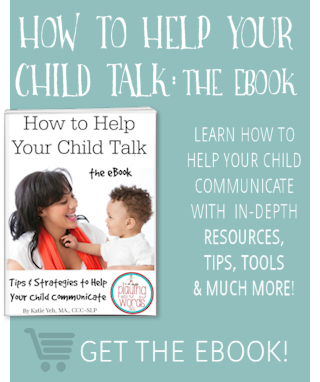 I talk about this in my popular guest post at Toddler Approved 5 Tips to Help Your Child Learn Language and Communicate. It is my very first tip to all parents. It may seem obvious and simple, but it isn’t always as easy at it sounds. As I talked about in that post, I mean this in a few ways. 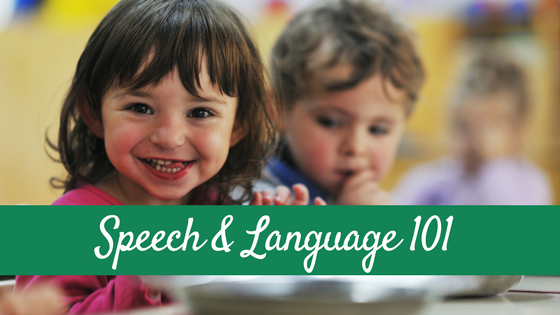 Children learn language in everyday moments. Everyday routines. 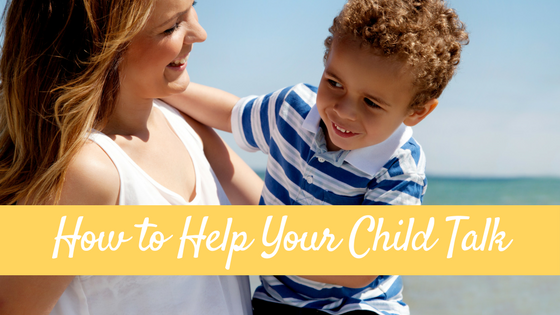 Diaper changes, bath time, meal time…these are all so routine yet some of the best times to slow down and talk to your child. These are the moments he is learning the most. Make sure to try to slow down when you can and really talk to your little one during those routines that you often don’t even think about. 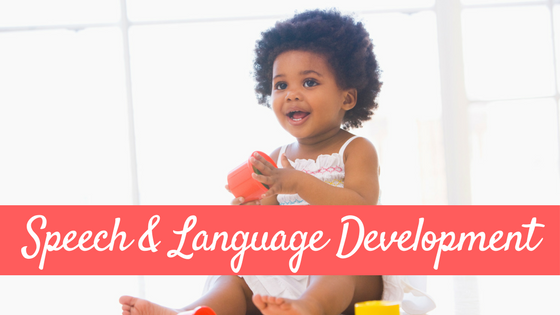 Example: During bath time, rather than moving quickly through the routine of bathing and getting your child out, slow down and talk about the steps you are taking in the bath. Talk about how the water is warm. Talk about the bubbles. Talk about the shampoo and why we use it. Talk about the way the soap smells. Talk about the toys in the bathtub. About how the duckies float. How the cup is empty and now it is full. Slow down and talk about everything! This is when your child is learning the most about his world. In these everyday moments. Also, slow down your own speech. 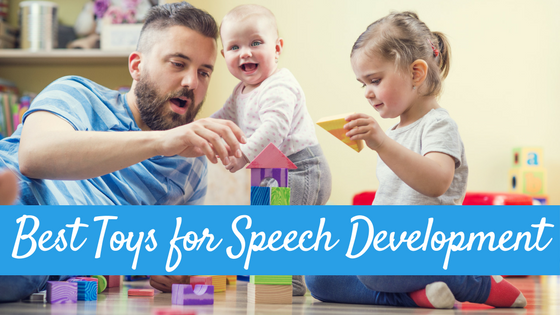 This is especially important if your toddler is struggling with speech and language development. I have met many a parents who bring their child to me for an assessment and they are speaking to me at such a fast rate that I have a hard time keeping up. Though some of this is due to being concerned for their child and nervous about the evaluation, more often than not they admit to me that they often speak very quickly. In this fast paced world full of cell phones, computers, “on demand” TV and such, we are all moving so fast and talking so fast some little ones have a hard time keeping up. So…slow down your pace in life and slow down your speech if you find yourself talking a mile a minute all the time. This is a friendly reminder that we need to put down our phones, iPads, and computers and be 100% present with our children. I say WE because I have to remind myself of this all the time. I am not talking about that day you took your kids to the park and browsed Facebook while they played because it was the only “you” time you had in a week. That is OK! We all need a break sometimes. As long as it is the exception and not the rule….we are good to go. I’m not asking you to be 100% present 100% of the time, but rather pick times during the day to be 100% present. The more the better. I am guilty of spending too much time on electronic devices. But in order to make a difference in our children’s lives, we need to be present. 100% during quality interactions with our children throughout the day. I know that when I am trying to make changes in my life, I find reading about others experiences on my same path inspiring and motivating. 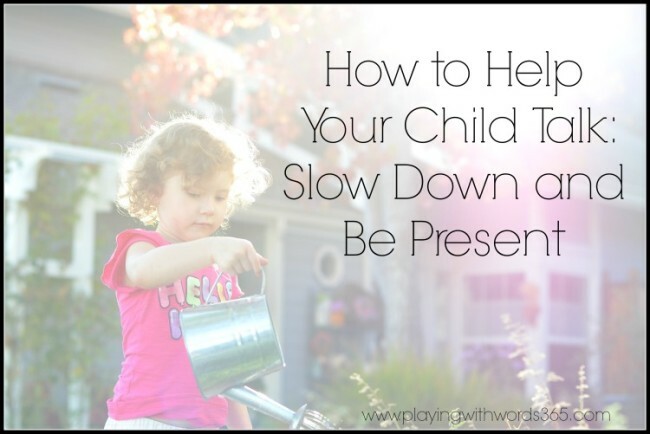 Here are a few of my favorite posts about slowing down life and being present with our children. I hope they provide you with some motivation and confidence that you TOO can make some small changes to be more present. (Believe me…I need to work on this too! So we can do it together!) 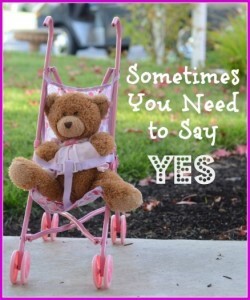 How to Miss a Childhood is a fantastic post by Hands Free Mama. Like I said above…it’s ok to have moments where you’re on the phone or the computer. But remember that to be truly present, we must put it all down sometimes and JUST be with our children. 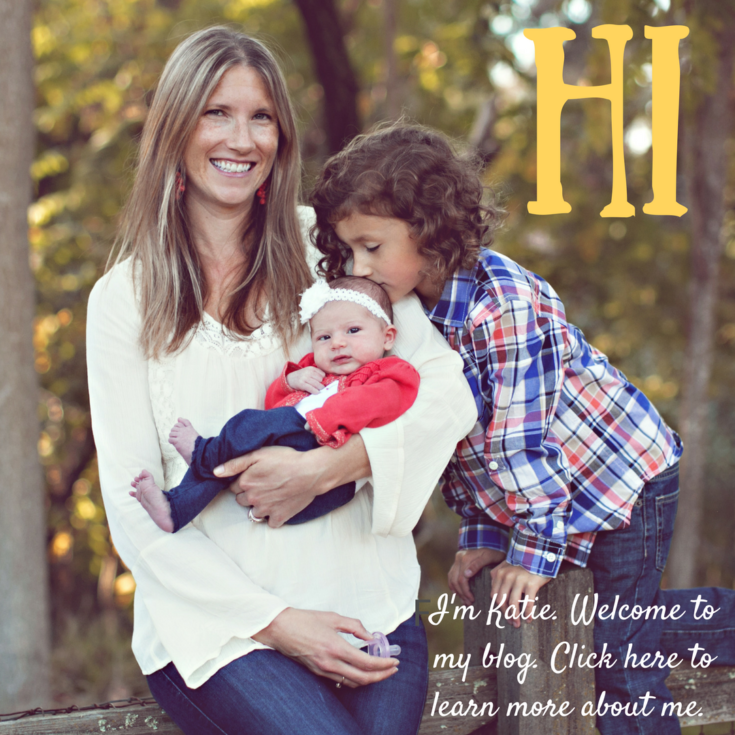 I love this post by Kristina from Toddler Approved. I love how honest she is about feeling overwhelmed and feeling like she needs a whole week just to “catch up” on life. I think we can all relate. 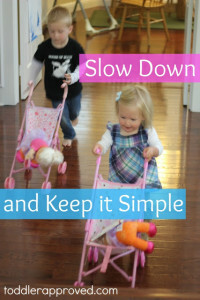 She shares her tips on slowing down. Here is a great post with over 30 ways to connect to your toddler from Connecting Family and Seoul. I LOVE these! I also have these two posts that I have written, on here on this blog, and one as a guest post on The Educators Spin on It. Click the images below to check them out and I hope they inspire you and get you thinking! Now, I’m asking YOU to try this. Try slowing down a normally rushed daily routine and really be present. Talk to your child. Listen to your child. Then come back and tell me how it went! For a list of all my other tips, go HERE. We do tend to rush through our days. Slowing down sounds wonderful. I really loved this post! Sharing and pinning. What a wonderful post! Thank you so much for including us! I LOVE hearing this Alicia! Thanks for your comment. It really does work! 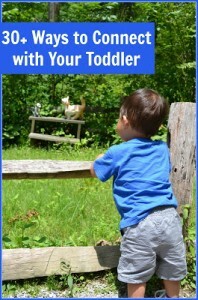 I see that this was written a fair while ago now and thought I’d let you know that the “Here is a great post with over 30 ways to connect to your toddler from Connecting Family and Seoul. I LOVE these!” link is no longer valid. I know you probably already have a million and one things on your list of things to do but thought I’d point it out. Great read though. In an age where speed and efficiency is at the forefront of everything it is hard to remember to slow down, not only for our own health and wellbeing but also our childrens.